San Diego’s esteemed Cuban restaurant, Havana 1920, will celebrate its one-year anniversary with a festive bang. Things kick off with a free VIP party at 7 p.m., Oct. 11. It will feature live music, salsa dancing lessons, a cigar-rolling station, mojito drink specials and more. Guests must register online in advance at havanayear1.nightout.com. 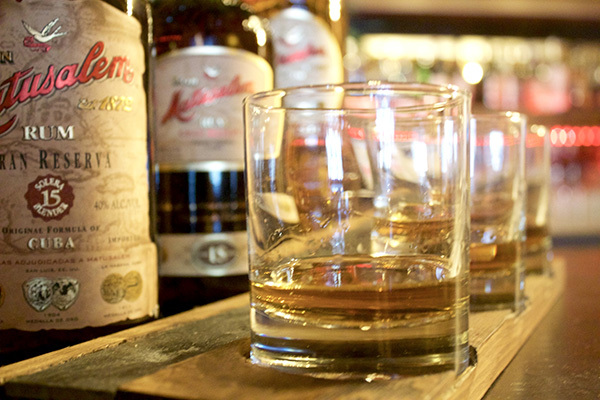 From 4 to 8 p.m. the following day, Oct. 12, the restaurant will offer half-price rums as well as three-glass flights of Ron Barcelo rums for $25. On Oct. 13, guests will receive complimentary desserts. And the next day, on Oct. 14, guests can enjoy free empanadas and cafecitos on Oct. 14. 548 Fifth Ave., 619-369-1920, havana1920.com. Replacing Waters Fine Foods along the trolley tracks of west C Street is the first brick-and-mortar venture by the Wild Thyme Company, which has run a catering business for the past 13 years. The restaurant, named The Wild Thyme Table, opened Oct. 1, and operates from 10 a.m. to 7 p.m. on weekdays only. The menu offers salads, sandwiches and sides with healthy spins, and there’s also a gourmet deli case stocked with hearty grain dishes, pasta salads, roasted fish and poultry, and desserts. “We’re doing a similar concept with counter-service that Waters did here, but with different recipes,” said owner Dawn Carvajal, adding that she plans on introducing happy hour next month once the beer and wine license transfers over. 555 W. C St., 619-269-7091, thewildthymetable.com. For fans of the popular Civico 1845 in Little Italy who sometimes can’t land a table during peak times, its sibling owners, Dario and Pietro Gallo, plan on opening a second, similar concept not far away in Bankers Hill. Due early next year, the Calabrian-born brothers have taken over a ground-level space in the Mister A’s building for the project, marking the first culinary tenants to occupy the remodeled floor. Still unnamed, the restaurant will focus on cuisine from Italy’s southern coast. 2550 Fifth Ave., civico1845.com. The new El Puerto by the Park across the street from Petco Park is all the rage among stadium-goers and downtown denizens. 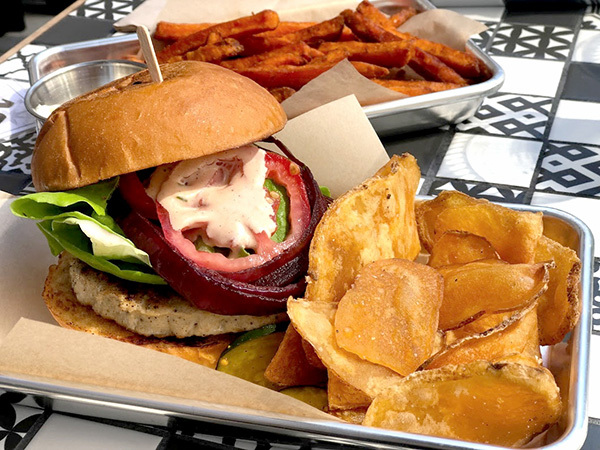 With a focus on local farm-raised seafood, the fast-casual eatery offers indoor seating and flat screens. The menu spotlights a range of tacos, burritos, tostadas and fresh oysters. Among the top sellers are “Friar fries” topped with smoked tuna, cheese and house sauce; bacon-wrapped shrimp; and classic fish tacos. Open daily from 9 a.m. to 8:30 p.m., it also sells breakfast burritos, beer and micheladas. 317 10th Ave., 619-236-8156. 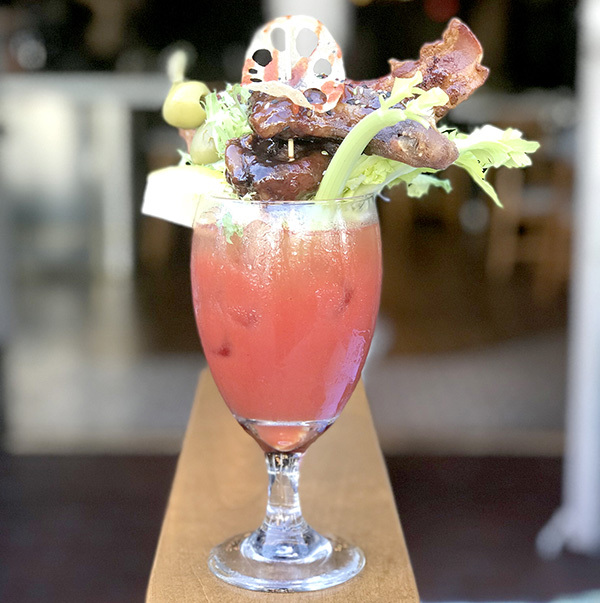 The newish Route 29 in the Gaslamp Quarter recently joined the ever-growing list of restaurants serving weekend brunch. With its overall “wine country” theme, replete with elements of wood, iron and copper, the brunch offerings follow suit with sustainable and organic ingredients that show up in dishes such as shrimp omelets with green onions and bell peppers; short rib Benedict with lemongrass polenta; and bananas foster French toast with brown sugar and rum. Of course, there’s a swooped up bloody Mary in the lineup as well. It’s called When Pigs Fly, a house creation featuring duck wings, bacon, fried lotus root, and more. The menu is available from 9 a.m. to 3 p.m., Saturdays and Sundays. 644 Fifth Ave., 619-235-8144, route29restaurant.com. One of the most ambitious projects the Gaslamp Quarter has seen in a while is Theatre Box, a two-story luxury theater, dining and entertainment complex due to open (in part) sometime in October at Fifth Avenue and G Street. 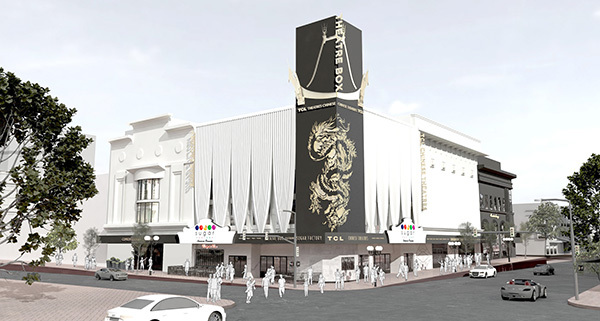 Spearheaded by TLC Chinese Theatre (of the famed Hollywood movie palace), the 73,000-square-foot edifice will dominate a full city block and first offer dine-in cinema in eight separate theaters. The first phase will also bring in the arrivals of The Chocolate Lounge and Sugar Factory American Brasserie, the uber-chic chain with locations in New York, Las Vegas, Miami, Dubai, The Philippines and other locales. Coming with the project’s second phase is a 6,000-square-foot rooftop bar and Nick Cannon’s Wild ‘N Out Sports Bar and Arcade. Those are set to materialize in the winter. 701 Fifth Ave., theatrebox.com.